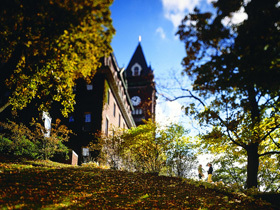 For directions to Holy Cross and arts venues on campus, please visit our Maps, Directions and Transporation site. An exploration of the space between analog and digital photographic technologies, where images can be read as both factual and illusory. This paradox of meaning is the focus of this recent work by Matthew Gamber, assistant professor of photography and new media in the College’s visual arts department. Opening reception is Jan. 27, 5-6:30 p.m. A talk on “Grammar” by Gamber, Nancy Burns of Worcester Art Museum and Benjamin Sloat of Lesley University is Feb. 10, 5-6 p.m.
Travel far and wide with Gretel Ehrlich, author of 15 books of prose and poetry about nature, including “Facing the Wave: A Journey in the Wake of the Tsunami,” nominated for the 2014 National Book Award and winner of the PEN USA Award for nonfiction. This event is part of the Working Writers Series and is co-sponsored by the Creative Writing Program and Environmental Studies. Feb. 4, 5, 6, 8 p.m.; Feb. 6, 7, 2 p.m. The Tony award-winning musical "Chicago" comes to the stage with music by John Kander, lyrics by Fred Ebb, and book by Ebb and Bob Fosse. This milestone satirical musical, set in Chicago in the 1920s, skewers the justice system and the cult of celebrity. 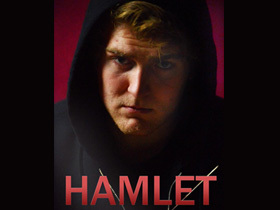 Christine Freije '13 directs this Alternate College Theatre production. 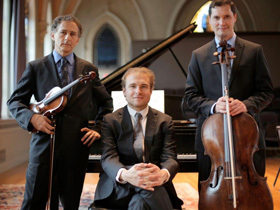 This Artists-in-Residence concert will feature the world premiere of "Breathless," a swirling kaleidoscope of melody and color composed by Chris Arrell, associate professor of music, for Artists-in-Residence Saul Bitrán, violin; Jan Müller-Szeraws, cello; and Adam Golka, piano. The concert will also include much beloved 18th and 19th century classics performed in collaboration with the music department’s Brooks scholars Adam Ouellet '16, Christopher Goessling '18, Teresa Murphy '19 and Ana Dulskiy '19. Feb. 11, 7:30 p.m. - Event has been canceled. 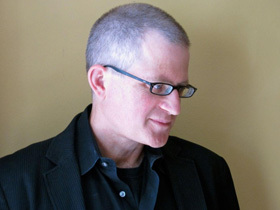 Join Christian Wiman — past editor of "Poetry," the world’s oldest poetry magazine — as he reflects on a struggle with incurable cancer that prompted his memoir, "My Bright Abyss: Meditation of a Modern Believer," and as he reads from his five books of poems and verse translations. Co-sponsored by Creative Writing Program and the McFarland Center for Religion, Ethics and Culture. Worcester Symphonic Project; Holy Cross Chamber Orchestra. Franz Schubert, “Mass #2,” with the Holy Cross Chamber Singers and Colleges of Worcester Consortium choruses, Eric Culver, conductor. Ludwig van Beethoven, "Symphony #1," Bruce Hangen, conductor. Ticket Box Office: (508) 754-3231. 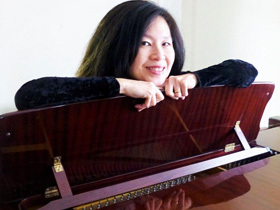 Lisa Leong presents a program of solo piano and electroacoustic works, including Pierre Boulez’s "Incises," a fertile, perpetually-moving shimmering fabric of textural interplay; and Luigi Nono’s “…sofferte onde serene… ," a poignant reflection on loss. Also featured are works by Jonathan Harvey, Amy Williams, and Mei-Fang Lin. Featuring works of Saint-Saens, Golijov and Haydn. Sponsored by Music Worcester in collaboration with the Holy Cross music department. 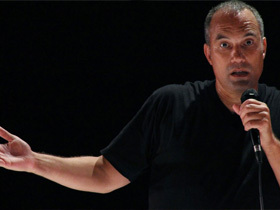 Roger Guenveur Smith’s "Rodney King"
History, poetry and tragedy collide when stage and screen actor Roger Guenveur Smith (American Gangster, Malcolm X, Do The Right Thing) tackles the thorny odyssey of Rodney King — deemed "the first reality TV star"— from the harsh initial glare of the national spotlight as the victim of police brutality to his involuntary martyrdom that ignited the 1992 L.A. riots to his lonely death at the bottom of a swimming pool. In this riveting performance, Smith offers a meditation on a flawed, goodhearted everyman and reveals America’s endlessly complicated relationship with its racial past and present. Co-sponsored by the Arts Transcending Borders and Office of Inclusion and Diversity; funded in part by the Expeditions program of the New England Foundation for the Arts. 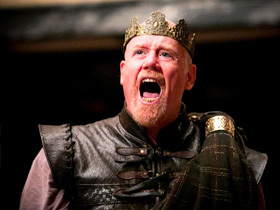 James Keegan '83, a poet, and actor with the American Shakespeare Center, performs monologues from some of his favorite roles, such as King Lear, Iago, Macbeth, Falstaff, Shylock, Prospero, and Titus Andronicus. The event is a part of the Working Writers Series and is co-sponsored by the Creative Writing Program, the Jenks Chair of Contemporary American Letters and the theatre department. Performance by Artists-in-Residence Saul Bitrán, violin, and Jan Müller-Szeraws, cello; and guest artist Sally Pinkas, piano. Stirred by a late discovery of family roots in Algeria, young French choreographer Hervé Koubi embarked on a journey across the Mediterranean in 2009 and formed a company of 12 Algerian and Brukinabé dancers, mostly with a street dance background. 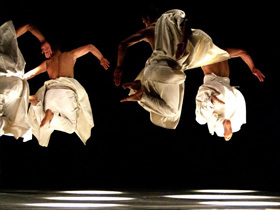 Following their “astounding American debut” (The Washington Post) in 2013, the all-male Compagnie Hervé Koubi returns to the U.S. with "Ce que le jour doit à la nuit (‘What the day owes the night’)," which fuses contemporary dance with martial arts, urban dance and capoeira. Come see excerpts from this breathtaking work and stay for an exchange and conversation with company members. Presented by Arts Transcending Borders in conjunction with the French Program’s Semaine de la Francophonie celebrations. A solo recital featuring Schumann’s “Dichterliebe Op. 48." 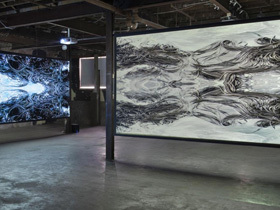 Multi-media video and sculpture installation by artist Alexa Horochowski, who immigrated to the United States as a child with her family from the Argentinian Patagonia. The exhibition is a video-immersive work inspired by her residency at Casa Poli in Chile. Co-sponsored by Cantor Art Gallery and Arts Transcending Borders. ATB is planning ancillary programming and cross-disciplinary academic engagement opportunities around this exhibition in the Cantor Art Gallery. Opening reception is March 15, 5-6:30 p.m.
A solo recital featuring works of Schubert, Schumann, Bartók, Fauré, and Chopin. 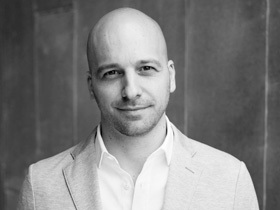 Meet Christopher Castellani, the artistic director of the GrubStreet creative writing center and the author of three novels — “A Kiss from Maddalena," "The Saint of Lost Things,” and "All this Talk of Love” — as well as a new volume on the craft of writing, "The Art of Perspective." Co-sponsored by the Creative Writing Program and the Jenks Chair of Contemporary American Letters. A multi-media song cycle, “Questions for the Moon” is a collaboration between composer Shirish Korde, Distinguished Professor of Humanities, and Karen Turner, professor of history. Inspired by stories of the many North Vietnamese women who answered Ho Chi Minh’s call in 1965 for youth volunteers to fight American forces, this music-theater work is a meditation on the boundaries crossed and the potent forces unleashed in wartime. Van-Anh Vo , Vietnamese performer/composer; Wu-Tong , dramatic vocalist and performer, and featured soloist with Yo Yo Ma’s Silk Road Ensemble; and Sonja Tegbland, a dramatic lyric soprano. Video projections for this production are specially designed by internationally renowned visual artist Raphael Shirley and are based on archival footage from Karen Turner’s documentary film, "Hidden Warriors." The event is sponsored by the music department. The performance will be followed by a discussion/Q&A. Abraham Ross, Organ Scholar for Class of 2016, will perform works of Lubeck, Bach, Hindemith, and Ritter on the Chapel’s magnificent Taylor & Boody organ. A solo concert of arias, lieder, and music from the American Song Book. A piano-violin recital featuring Artist-in-Residence and pianist Adam Golka, and guest violinist and soprano Magdalena Filipczak. See a staged reading of new work by Laura Cahill, a successful screenwriter for Miramax, 20th Century Fox, Lifetime, USA, and HBO, among other studios, as well as a dramatist whose latest play, "Sad and Serious News," was featured in Vineyard Theatre’s 2015 reading series. This event is a part of the Working Writers Series and is sponsored by the Creative Writing Program. Performance by Uriel Valadeau and eminent French concert organist Francis Chapelet who is making his “farewell” tour of the U.S at the age of 82. April 14, 15, 16, 21, 22, 23, 8 p.m. This provocative, modern-dress production explores the angst of a young man trying to find his way in a corrupt world filled with dissembling politicians, paranoia and surveillance — perhaps a bit like the one we inhabit today. Directed by Edward Isser, professor and chair of the theatre department. Featuring music from Schubert, Bach, Britten, Tosti, Faure, and Debussy. Internationally acclaimed Tony Arnold and Jacob Greenberg perform a program of contemporary art song, featuring Helmut Lachenmann’s "Got Lost" (2007), which interweaves texts from Nietzsche, Pessoa, and an English language advertisement posted in a laundromat. Also on the program is the world premiere of Associate Professor Chris Arrell’s second ode to Popeye, and “Bright Codes” for solo piano by Dai Fujikura. The vocal ensemble “Psaltikon” (dir. Spyridon Antonopoulos) performs "Six Days before the Passover," a concert of virtuosic psalmody from the Byzantine Rite composed for the Passion Week. Psaltikon will be joined by acclaimed world musicians who will play and accompany traditional Greek and Arabic carols commemorating both the Passion and spring time. 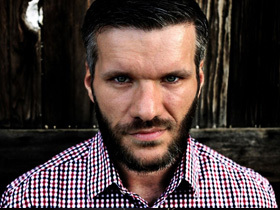 Listen as writer Matt Bell reads from his new novel, “Scrapper." 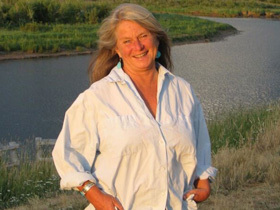 Bell’s other works include a volume of short fiction, the novels “Cataclysm Baby” and “In the House Upon the Dirt Between the Lake and the Woods,” and a new nonfiction book about the classic video game Baldur’s Gate II. Sponsored by Creative Writing Program. The College choirs perform their spring concert, featuring works about healing, discovery, and release. The repertoire will include arrangements of popular songs like “Fix You” by Coldplay; contemporary pieces like Pauline Oliveros’ “Wind Horse,” an improvisatory piece including a stage-sized mandala; and classics from the Renaissance and Romantic eras. A perennial favorite of the spring semester, the Annual Senior Concentration Seminar Exhibition is the capstone presentation for graduating seniors who participate in a year-long seminar course. Opening reception is April 28, 5-6:30 p.m. The College’s “Become More: Campaign for the Future of Holy Cross" kicks off with an evening of celebration headlined by the international jookin’ phenomenon Lil Buck, who came to international attention when ballet star turned director Damian Woetzel paired the young dancer with cellist Yo-Yo Ma. The performance, captured on video by Spike Jonze, went viral with more than 3 million views. Lil Buck has gone on to perform with the New York City Ballet and in Cirque du Soleil’s "Michael Jackson: One," the Spike Jonze film "Her," and Benjamin Millepied’s "NOWNESS" videos. In the latest series of unique performances created by Damian Woetzel, Lil Buck is joined by a stellar cast of musicians, marking the welcome return of Fall ’15 ATB artist-in-residence, Galician gaita player Cristina Pato. In conjunction with the College’s 2016 Academic Conference. May 4, 7 and 9 p.m.
Kaela Lee, Jimena Bermejo and Audra Carabetta showcase the work of their dance students in this eagerly anticipated springtime concert, which includes both classical and modern pieces. Join us as we celebrate the poetry and prose of graduating concentrators. This concert is a delightful evening of Balinese music and dance, conducted and choreographed by our two new masters, Visiting Fellows in Balinese Performing Arts I Nyoman Windha and I Gusti Argung Ayu Warsiki, and featuring student performers and special guest artists. A treat for audiences of all ages. 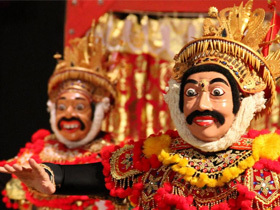 Young directors are given the opportunity to showcase their talents in fully-produced one acts.